Geophysicists and astrophysicists are in common agreement: Earth is in a very fragile state of ecological homeostasis. Geo and astroscientists as well as archaeologists know that the Sahara Desert was once a lush green oasis just 6,000 years ago until the earth’s axis moved less than one degree closer to the sun. This was no surprise to scientists. Our planetary wobble (or axial obliquity in scientific terms) happens about every 41,000 years in conjunction with other variations such as Jupiter’s and Saturn’s orbital gravitational forces onto earth, or shifts down in earth’s molten core resulting in major earthquakes. 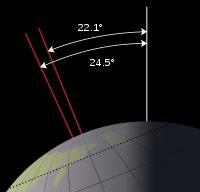 Earth’s axis is in perpetual flux moving ever so slightly over centuries. It is currently at 23.44 degrees and decreasing, nearing the end of another 41,000 year cycle. Unfortunately, axial obliquity and tectonic plate shifting have catastrophic effects often coupled with mass extinctions of species. As our protective atmosphere continues to gain more CO2 (carbon dioxide) from humans burning fossil fuels such as coal, gas, and oil making the surface more susceptible to the sun’s heat and radiation, melting the polar ice caps and pushing sea levels up over one foot per century, the homeostasis is disrupted more. Again, scientists are in agreement that by the next two or three centuries the earth’s sea levels will rise between 230 – 250 feet. 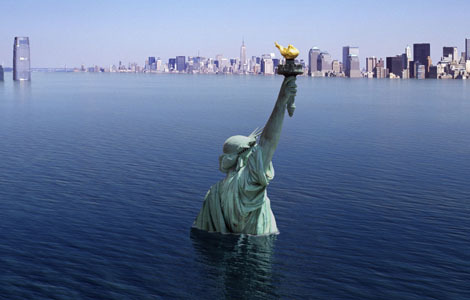 Metropolitan areas such as London, New York, Paris, Berlin, Los Angeles, Washington D.C. and New Orleans will all be under water. These alarming facts are not at all apocalyptic prophecy fulfilled or the coming of some miraculous rapture. This has been simple cold hard science beginning around the First World War and today in geophysical and astrophysical communities is well-known. Earth and the solar system she belongs has always been going through violent changes. It is not a question of if or ever, but when. The more critical question is… How are we as simple human beings going to manage together the cataclysmic threats to the human race? Religious, ethnic, gender, or racial separatism will most certainly fail, and fail miserably. In the coming two centuries those four global and social discords will be mankind’s greatest challenge. How mammoth are these challenges? 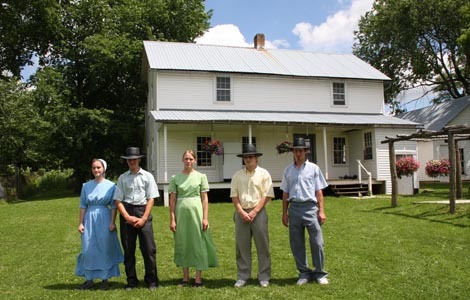 Regarding religious separatism, National Geographic recently aired a documentary called Amish On Break where five Amish 16 year olds take for the first time in their lives a four-week excursion outside their ultra-sheltered communities and over to Great Britain. It airs again Monday, June 27, 2011 on the National Geographic Channel. If you would like to watch a 3:35 video clip, click here. What was most astonishing in the 1-hour episode was how naïve these teenagers were of the outside world’s real hardships or achievements. On one occasion the five sat in one of their British host’s school classrooms. The teacher read a quote from the U.S. Constitution, written of course by Thomas Jefferson, saying “We hold these truths to be self-evident, that all men are created equal, that they are endowed by their Creator with certain unalienable Rights, that among these are Life, Liberty and the pursuit of Happiness.” He tried to engage the American Amish boys in the meaning and impact of those words, but they had no idea what the U.S. Constitution represented nor who Thomas Jefferson might have been; they had nothing at all to contribute to the U.S. political history class. In the Amish-Mennonite communities formal education is only from age 6 to 14 and includes just reading, writing, and mathematics. Beyond those basics the rest of their education concentrates on Amish vocational training and socialization strictly within Amish values. On another occasion during a formal dinner, the host mother asked the Amish teenagers if they were active in any Green Movements such as recycling or if they were aware of global warming. Again, the five couldn’t explain at all what global warming involves, how CO2 increases the green-house effect, or even that their U.S. federal and state governments enact laws and policies that can directly or indirectly effect their own homes! They were silent with empty gazes for their hosts. It would be safe to assume the Amish teenagers would also not be able to speak anything on the matter of global drought and rising water shortages. The Amish are by no means the world’s only separatist. Many other religious groups are socially less educated and unaware. Sadly, some separatists do not care for any broad education but live only to kill and die ushering in their own self-perceived after-life. Islāmic states (Sharia) or ethnic groups: Afghanistan, Iran, Mauritania, Oman, Pakistan, Saudi Arabia, Somalia, Sudan,Yemen. Vatican City and then where Roman Catholicism is state religion: Costa Rica, Liechtenstein, Malta, Monaco, and cantons of Switzerland. 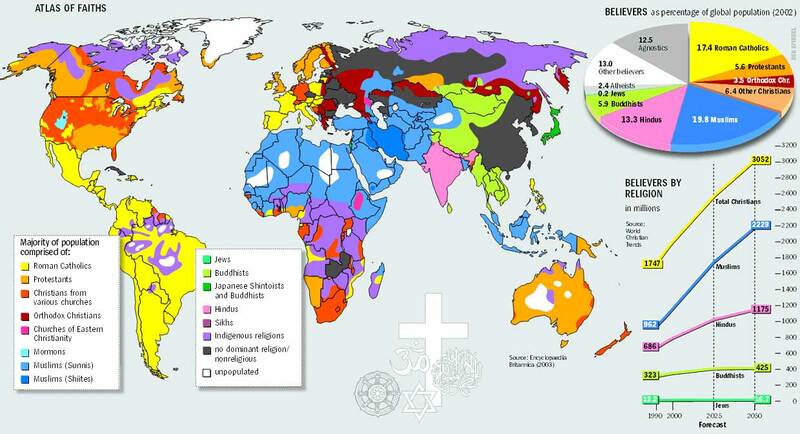 An even greater number of nations adhere to Roman Catholicism, Eastern Orthodoxy, Anglican, or Lutheran tenets within their laws; 27 nations exactly. Then the rest of the planet has a seemingly infinite variety of tenets from Mormonism, Hinduism, Buddhism, Islam, and Christian Protestant like the Amish-Mennonite. Trying to decide which group contain active radical separatist movements or primarily historical movements that have become passive or completely disregarded is a frustrating task for unity. Any Fortune 100 CEO would be seriously challenged to reverse the proverbial chief-to-indian ratio to an efficient profitable working corporation. To avoid complete bankruptcy, this fictional board of directors would be attempting to coalesce a crippled workforce — all claiming absolute truth and God’s favor — just to carry out a few simple turnaround tasks. What this planet will soon be confronting is on a scale that not even the richest, most powerful Western nations, much less the religious supremacist, can dream to manage. It must be a collaborative global effort. For the sake of the next two, three or four generations after us, it is time to seriously consider not just whether the human race will survive, it will; but more importantly maximizing how many can be spared. And for apocalyptic fatalists who proudly proclaim their ideological discriminations, the cold hard facts are that the many forces of this planetary system and its Universe doesn’t discriminate in the least. These cyclical violent changes will indeed happen and they will claim WHOMEVER they want. Religious, ethnic, gender, or racial affiliations or passive beliefs of rapture will all fall irrelevantly mute. We are clear and simple Homo Sapiens. If we have any real threats to our survival, they are only two: ourselves and the cosmos in which our submissive planet exists. One we are fully capable of managing. The other demands nothing less from us than unified collaboration. This entry was posted in Social Lifestyles and tagged Amish, Axial obliquity, Homo Sapien, National Geographic Channel, Pro-life versus Pro-death, Religious separatism, tectonic plates, tectonic shifting, World survival, World unity by Professor Taboo. Bookmark the permalink. My wife wants to take an Amish retreat where the visitor/guest works the farm for a week. I does sound kind of fun. Maybe we’re backwards but I know that I would really, really learn a lot. After that I’m sure I would have so much gratitude for my world but also carry a sadness that we are so far removed from of self-reliance. The end is coming. I can’t remember if I’ve talked with you about it but “Peak Oil” is a real concern of mine. It seens inevitaible. This was a very good post as usual. I still working on some of my bio. Peace be with you. You both are not backwards in the least! You are actively trying to remove those “walls of ineptitude” which is a critical first step in simple understanding that leads to collaboration. I was actually thrilled that the Amish elders were allowing these excursions called “Rumspringa” into the world of the “English”. This is an enormous step of progress! Naturally, collaboration is only as successful as the willingness of all parties to acheive common goals. In this case, the common goal will be shockingly simple: survival of the human race. It is certainly attainable, but how many is the question. Mankind is sufficiently brilliant to accomplish a rescue of millions if not billions. As I suggested, the largest challenge we will face are those groups who unwittingly live only to die as fast as possible & bring down with them as many other bystanders. It is a “faith” I find incomprehensible; death or the after-life is much more valuable than the present. And that does not go simply for radical militant groups, in a passive mentality their tenets are practically identical…this present life & inhabitants & the planet are EVIL — some other existence post-death is perceived as perfect. For me that is a quitter-attitude. One does not need to look far to find life’s & earth’s exquisite beauty if you truly seek it. Regarding a 1-week retreat with the Amish, I’m sure you will learn how EASY it is to conserve resources. The Amish put the average American consumer to shame when it comes to water conservation and of course energy conversation. Their family & social closeness is of course heavily vested, again aspects the average American can take notice, even apply. The key is not erecting social, religious, ethnic, racial, or gender walls, which the Amish do indeed erect between genders as well as with non-Amish, though indirectly and implied. The Amish are only one small sector/population. I did not spend the time covering many other separatist groups such as Christian Reconstructionists or Dominionist (e.g. Sarah Palin or Sharron Angle). “Peak Oil” is another issue, indeed. Clearly, if we as a species do not persistently seek unity rather than division, then mankind will create its own Armageddon that will not distinguish between anyone.